Me and my husband love Mocktails but its not very healthy option specially if you want to drink more than one time in a day. 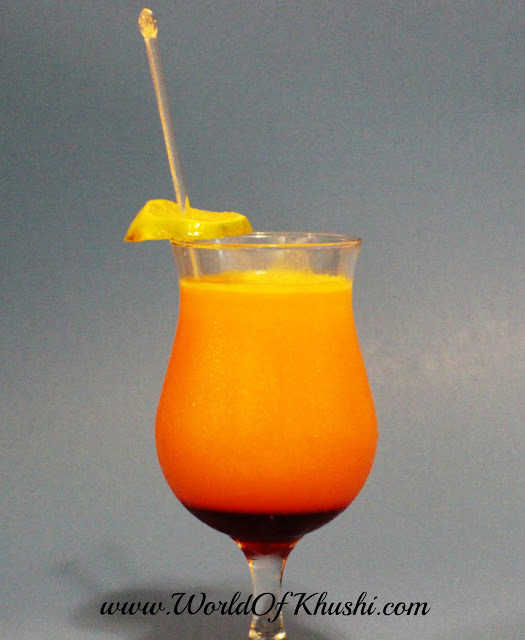 The great options are Home-made Juices as they are healthy and packed with vitamins. 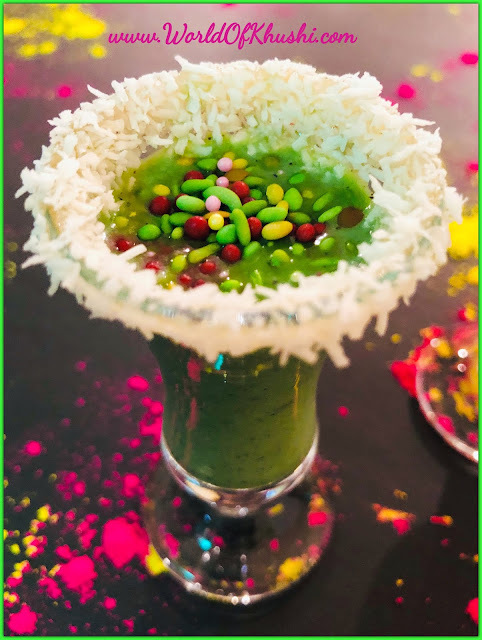 The only problem is they don't look very fancy and beautiful just like Mocktails that is the reason I love mix-match, they not only taste delicious but also looks too beautiful. 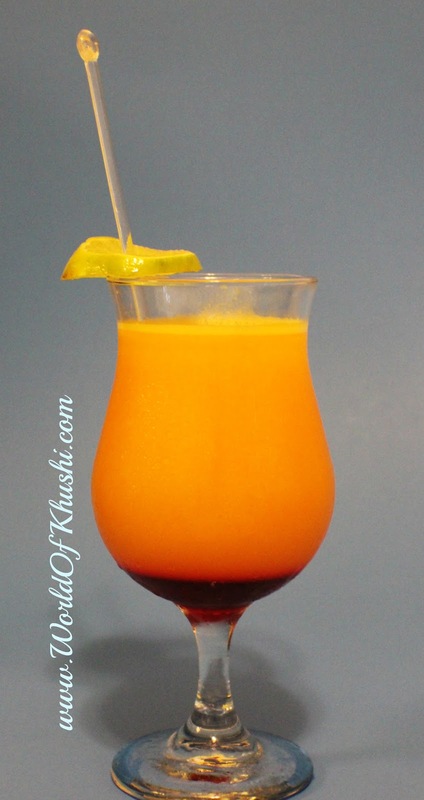 In today's post I am sharing one of my current favorite juice which I came up last week. Very easy and very tasty, called Rosie PinO Juice. This Juice is my creation and so is the name!! 😊 I hope you gonna like it, let's see how to make it!! Step 1. Take a Martini Glass. Step 2. Pour Rose syrup in bottom and refrigerate it for 15 minutes. Step 3. Now fill 1/4 of the glass with Orange Juice and 3/4 glass with Pineapple Juice. The delicious Rosie PinO Juice is ready. Garnish it with Lime Slice and serve immediately. It tastes so good! Note :- Here I am using fresh home-made juice for the ingredients, you can have the readymade juices too. I hope you and your family will love this Juice. It's very healthy and at the same time Refreshing. Give it a try and if you try this then don't forget to share your juice pictures with me. Love to see them! !